It’s the age of the home-made virus, and humanity is dying. It just doesn’t know it yet. In Prague, a young woman named Eva returns home to escape the plagues, only to find her mother missing and the police blaming her for the worst outbreaks in recent memory. Events are complicated by the appearance of a Healer — a merciless Chinese agent — sent to neutralize a new strain that may bring Prague to its knees. With only days until the launch of a super-virus, Eva must navigate a hostile city and escape to safety before she becomes another faceless victim in this global, slow apocalypse. 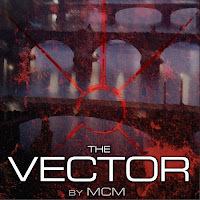 If you like dark end-of-the-world-due-to-genetic tampering stories you should check out MCM's serialized novel The Vector. There will be a new chapter every Monday and Wednesday through the end of December - or you can buy the complete story today for $5. Read the beginning of The Vector. Promising start! Let's see if what follows upholds that promise.